Patrick Hamann does a very interesting talk about performances. The network is intrinsically unreliable. More so, the network is out of your control as a developer. Therefore, we must design systems which embrace the unpredictability of the network and defend against it all costs. How can you prioritise the delivery of your core content? What best-practices can you use to optimise your assets? How can we design interfaces which adapt and respond to changing network conditions? 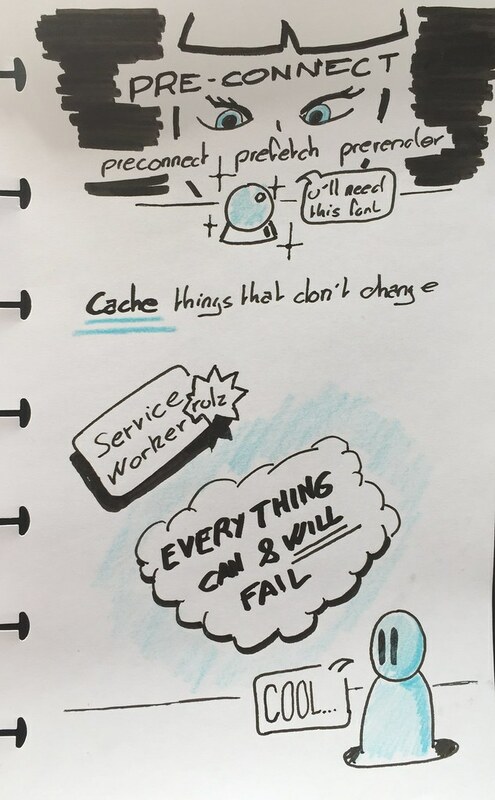 And finally, how are new APIs such as ServiceWorker changing the way we think about the network? During this talk Patrick will share his experiences delivering high-performance websites to millions of users over the past 3 years at The Guardian and Financial Times. Which – most importantly – are resilient to the network. 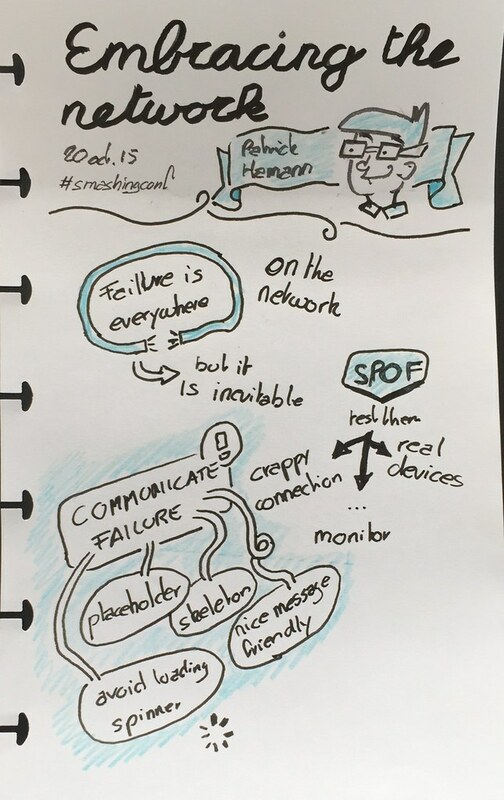 SmashingConf 2015 Barcelona: Patrick Hamann — Embracing the network from Smashing Magazine on Vimeo.